After 5 days of fruitless searching, a random detour into Ueno Park netted us this amazing sight. So many sakura. 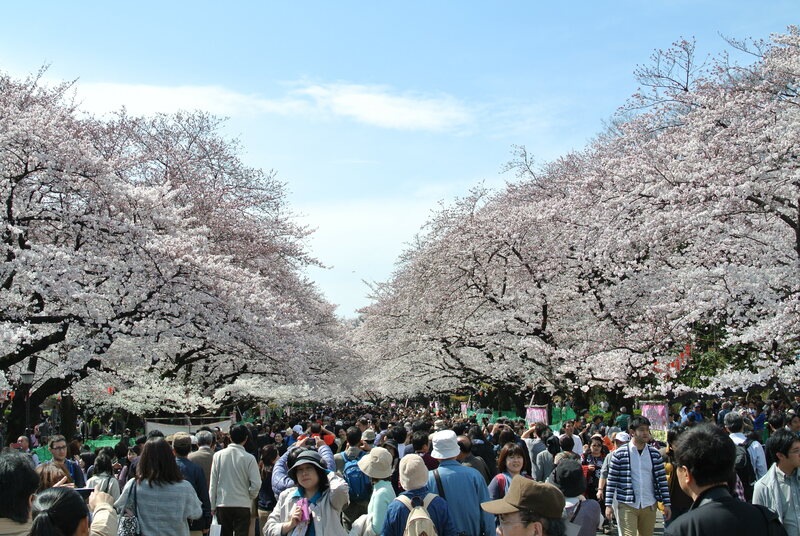 In Ueno Park, a path flanked by cherry blossoms in full bloom.